In a previous piece, I gave my impressions of the new Wilson NXT 17g “black” strings after having two racquets re-strung with this variant. If you’re a fan of the animated series “Family Guy”, you will appreciate my next reference. In the words of Peter Griffin, “I don’t very much care for these strings. I say good day to you sir”. I’d find it difficult to recommend these strings for anyone with a game like mine. Whatever gains you might make in terms of longer string life, you pay for with a dramatic offset in loss in topspin, control and feel. Since I was unwilling to pay for new strings so soon after stringing, I tried some string modification by using an emery board to wear down the black coating. The hope was that I regain the lost feel and control by wearing down the slick coating. I lightly rubbed, so as not to damage the strings. The rubbing was too light, however, and didn’t make much of a difference in the string’s playability. My second attempt was more robust. My strings got a full mani/pedi this time, as I made sure that every applicable ball-facing surface around the sweet spot was rubbed by the emery board. My next hit ended quickly in disappointment, as both sets of strings broke within the first 15 minutes. This experiment turned out to be a total bust! Each modified set lasted less than two weeks (3 hits). I take full responsibility for the shortened string life, since the second attempt clearly damaged/weakened the strings. But it was a risk I was willing to take with racquets that felt unplayable. I got both restrung: one with the regular “natural” Wilson NXT 17g at 58 pounds, and the other with Wilson Stamina 17g at 60. As I was paying, another patron came in for a re-stringing; coincidentally, because of broken Wilson NXT black strings (16g). Surprisingly, his strings lasted only two weeks – and with no mods. His game was a lot like mine i.e. baseliner with heavy topspin who also found the black coating difficult in terms of feel and ball control. Before meeting him, I was certain that mine would have lasted at least 5 more weeks without the emery board intervention. Afterward, I realized that maybe they would have broken anyway. Wilson, you have a great string with the “natural” NXT. Please don’t change it! 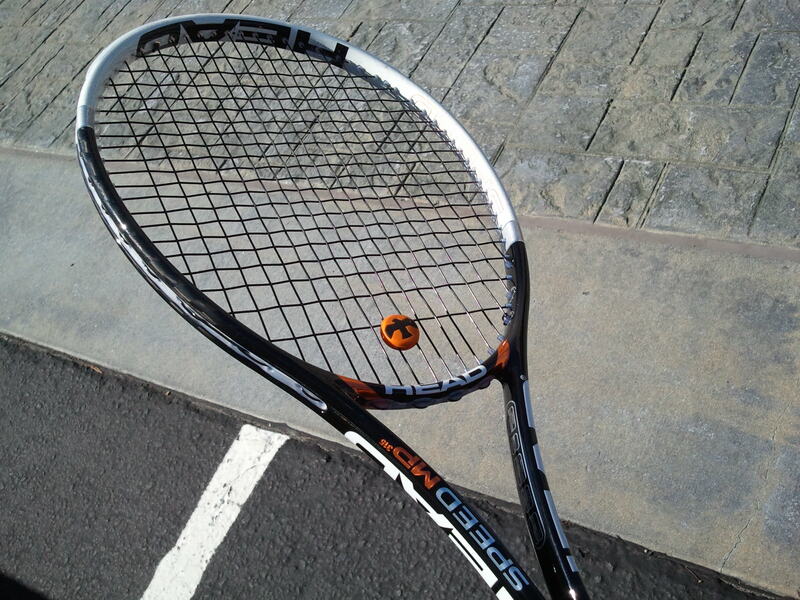 A few weeks back, I took my racquets in to my regular stringer with both sticks badly in need of new strings. One racquet had broken strings. The other had strings that were so heavily frayed that they were ready to break if the wind blew too hard. With a scheduled practice the next day, I needed to get at least one of them strung. I usually get my racquets strung with Wilson NXT 17g. But Marla, my stringer, said that she had a surprise for me on the string shelf. At first I thought she meant a price reduction (just kidding). Then I noticed the surprise: a new “black” version of the NXT 17g strings! She said they were supposed to play the same as the original “natural” string and last longer. The pitch sounded good, so I had her put them into both racquets. Before I share my thoughts on the new Wilson NXT 17g “black” string, let me give you my thoughts on the original “natural” version. I love these strings! They give me excellent “feel” and ball control. They give me the ability to place my serve wherever I want in the service box. They grip the ball perfectly on my groundstrokes, and allow me to use my topspin to full advantage on both my forehand and backhand. And volleys, which can sometimes be my nemesis, feel controlled and comfortable. Did I mention that I love these strings?!?! The only downside is that they don’t last as long as I would like due to their softness and texture. This is especially true when strung at higher tensions (60+) AND if you hit with a lot of topspin like I do. Hitting about twice a week, I can pop a set of strings in about 4 weeks if my racquet is strung at 60lbs (the range for my racquet is 57 +/- 5 lbs). That decreases to 3 weeks if strung at 62, and even less if I “shank” a shot. Personally, I don’t mind the shorter lifespan of these strings because of the added confidence they give me in terms of topspin and ball control. 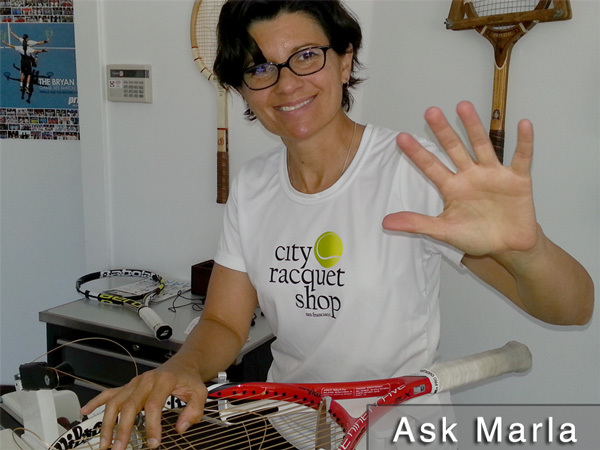 I play my best tennis when I can swing freely, and these strings allow me to do just that. It’s more than a fair trade-off! I wish I could say the same thing about the new “black” version, but I can’t. The black color is due to a coating that allows the strings to last longer than the uncoated “natural” version. That’s a good thing when the cost of strings and labor per racquet strung can set you back 35 bucks a pop. At least it sounded like a good thing until I gave them a try and realized they were the completely wrong string type for my game. The black strings are significantly stiffer than the natural version. Any “feel” that I had previously perceived was non-existent. The coating also adds a slickness to the strings, causing them to not grab the ball as needed for topspin shots. This makes the task of “lifting” an opponent’s low balls much more difficult. This lack of lift on my forehand caused shots to either end up at the bottom of the net, or fly well beyond the baseline. Serve: I lost significant “feel” and spin on my serve, taking away the confidence I’d previously had to place my serve in the service box as needed in order to be competitive at 4.0. This is a significant because my serve is the cornerstone of my game. Forehand: I lost my control and ability to hit the strong topspin shots I love, either crosscourt or inside-out, that allow me to attack. The lack of topspin control causes the ball to sail long or dump into the net if mishit. Backhand: This shot fared the worst with the loss of “feel”. An improperly struck shot (on a stroke that is already not one of my strongest), is pretty much “dead in the water” leaving me completely vulnerable to attack. Overall, the loss of confidence in my ability to attack my shots was reason enough to end the trial period on these strings. 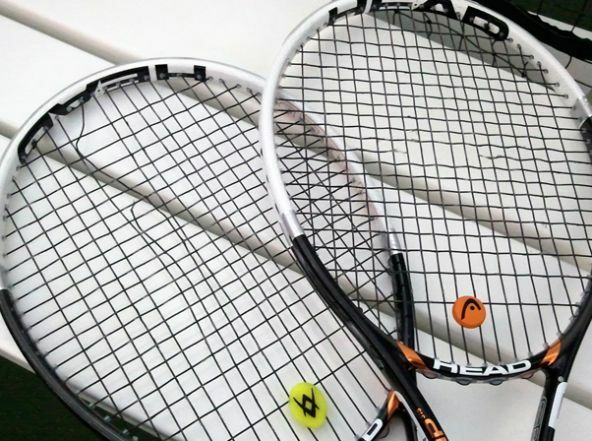 Confidence is everything in tennis, and I had none with these strings. I would have a hard time recommending these strings to anyone who hits with heavy topspin, or who likes a soft string with “feel”. However, I can see these being an ideal string for the player who likes to hit a flatter ball with moderate pace, and prefers a sturdy yet thinner gauge string. And the black color does look pretty cool! As for me, I’m going to see if I can modify the strings to help soften them up and lessen the slickness. It’s either that or cut them out and pay another 70 bucks for a second re-stringing in as many weeks. I’ll let you know how it goes.